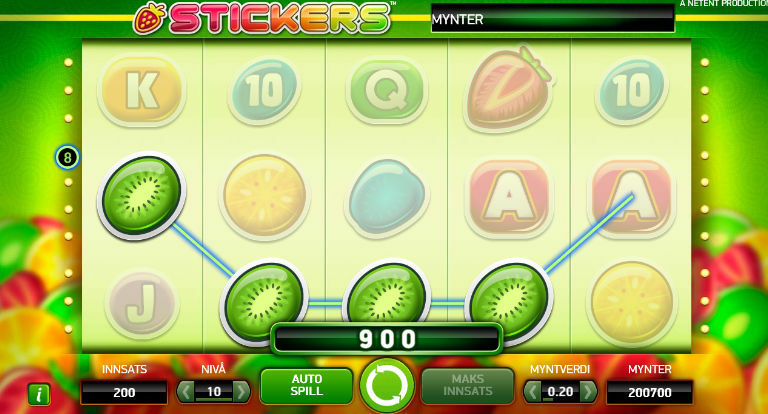 ………..The Stickers slot offers a highly visually appealing slot, with nice clean graphics, similar to previous games such as Fruit Slots and Reel Rush in design. 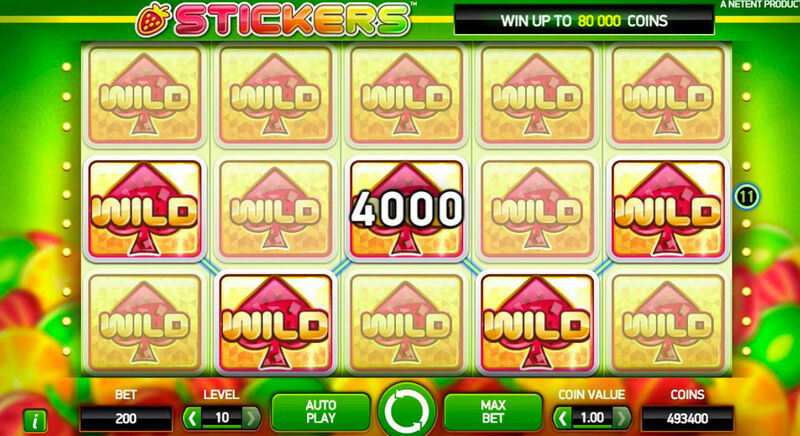 The maximum win on a single spin within the main game is 4,000 Euros on Stickers and the maximum win from free spins is also 4,000 Euros and it is possible to win 80,000 Euros on a coinciding win. The minimum bet per spin is 0.2 Euros and the maximum is 200 Euros! 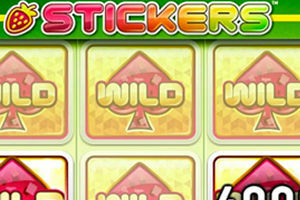 Stickers is a 5-reel, 3-row video slot with 20-line (fixed) featuring regular Wild symbols that transform into Sticky Wild symbols and activate Sticky Spins. You can play the Stickers slot at any of the recommended sites below, all of which have this new game! FREE SPIN OFFERS – Exclusive Stickers offer! *Promotion is available until 4th June 2015, 23:59 CET. Country Restrictions may apply.